The Infant Care curriculum at E-Bridge emphasises the importance of relationships for children 2 to 17 months of age, many of whom are first-timers in a pre-school environment. Our nurturing and dedicated educarers are committed to provide a safe, secure and sensorial environment for the development of emotional security, self-help and physical skills in our very young learners. The Nursery 1 curriculum progressively increases communication skills development through the expression of ideas, thoughts and feelings for children turning 3 years of age. Children are encouraged to engage in drawing, preliminary writing, sharing through verbal communication, physical explorations as well as investigative explorations. Children engage in transitory experiences in gaining greater independence in self-help and social skills. 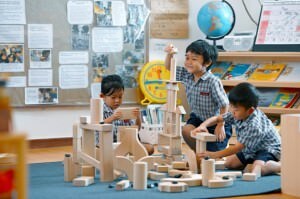 The Nursery 2 curriculum exposes children turning 4 years of age to more language and literacy, numeracy and exploratory experiences as they prepare for their kindergarten years. Learning is integrated through the inquiry process and hands-on as well as project experiences. The approach aims to build an interest and appreciation for literacy and numeracy, to prepare children for a more accelerated programme in Kindergarten 1. The Kindergarten 1 curriculum reinforces language, literacy and numeracy for children turning 5 years old. In addition to English and Mandarin, Bahasa Malaysia is introduced to prepare children for primary school. Children who intend to enroll in Chinese vernacular primary schools may elect to take additional Mandarin sessions. Learning experiences will integrate a greater emphasis on knowledge acquisition together with confidence and perseverance, promoting a love of learning and developing the skills of how to learn. Literacy skills are reinforced through opportunities for reading, writing and communicating ideas, thoughts and feelings through journal writing. 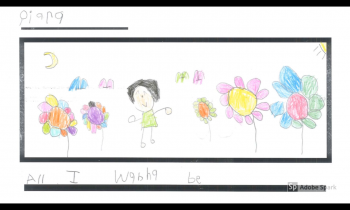 The inquiry process at the kindergarten 2 level for children turning 6 years old will have a greater emphasis on Language, Literacy and Numeracy. While the other areas of learning will continue to be integrated in the learning experiences, the curriculum will focus on children’s transition to primary one and will be closely aligned with the learning goals recommended by the Ministry of Education’s National Standard Pre-school Curriculum (KSPK).